Recently, I have been contacted to see if I wanted to review one of this Summer’s movies the brand new 4DX Theater Experience. This is not your typical movie going experience. Here is an example of the effects that you can expect going into a 4DX screening: water, air, bubbles, fog, scents, motion seats with vibration and ticklers as well as environmental effects like rain, storming, snow, wind and lightning. This seemed like the ONLY way to see a film like “Transformers”. Currently, I believe there are only a handful of these theaters across the United States, one of them luckily being in Orlando FL at the Regal Pointe Orlando Stadium. If you are in the area or are lucky enough to have one local to you, I would highly recommend checking out this experience at least once. “Transformers: The Last Knight” is the fifth installment in the Hasbro toy inspired franchise. Honestly, each film sort of blends together. The plots in the past films have been convoluted and confused and this film is no different. Is it entertaining…YES! Will I remember it and be able to distinguish between it and the previous four films….NOPE! Just pure popcorn Summer fun. If you dig explosions and robots, then it worth checking out then for a mindless two and half hours. But let me tell you one thing, seeing this film in 4DX definitely made it a better experience for sure and if you are thinking about seeing a 4DX film, “Transformers” is a great example to test it out with. If you have ever visited Disney World parks and went on the attractions “Honey I Shrunk the Audience”, “Captain EO” or “Mickey’s PhilharMagic”, this 4DX Theater Experience reminded me of all of those combined together and more. 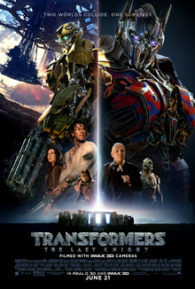 I have to admit though, by the end of the two and a half hour movie of “Transformers”, I was exhausted. This is definitely not for those people that just want to kick their feet up and escape into a movie. This is a workout. You are almost constantly moving the whole time, some times subtle movement and sometimes huge motion jumps, twists and turns…I definitely saw a popcorn bag get tossed during my screening. Personally, I wouldn’t want to see every new film that comes out like this but I can definitely see it being an event to do every once in a while right the right film comes out. If you are curious though about this do not wait, definitely check it out because it is definitely an experience.